Serving breakfast, lunch, dinner and wines and sprits in The Atherton Hotel at OSU. Superb dining, specializing in fresh, seasonal ingredients, impeccably prepared steaks, and exceptional wine pairings. The Ranchers Club’s chefs also turn private events, weddings and other celebrations into unforgettable occasions. 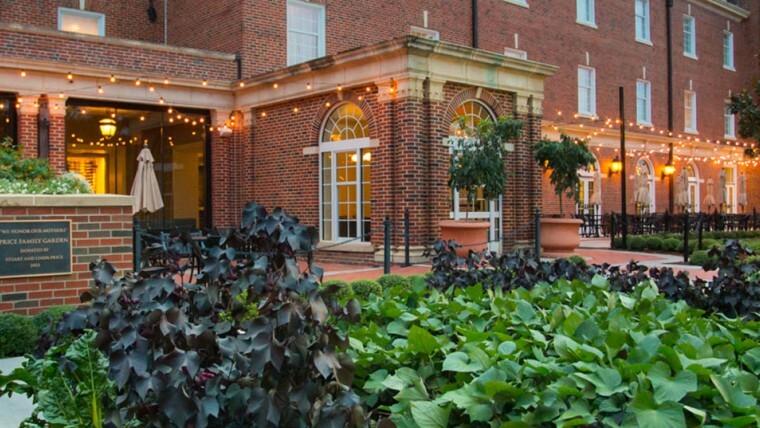 The Atherton Hotel at OSU is proud to be designated as a member of the Historic Hotels of America®. Part of the National Trust for Historic Preservation®, the program identifies quality hotels that have faithfully maintained their historic integrity, architecture and ambiance. Persimmon Ridge Management, LLC, The Atherton Hotel at OSU and The Ranchers Club entered into a partnership agreement in 2012. The owner of Persimmon Ridge– anOSU alumni – is honored to oversee the management of such an historic hotel property and restaurant. Established in 1890, OSU is Oklahoma’s only university with a statewide presence. Its teaching, research and graduates impact the state and the world. The first graduating class in 1896 numbered six. Now about 5,000 students receive diplomas annually. Considered the largest student union in the world, this building is connected to The Atherton Hotel and offers our guests an array of services. Among the OSU Student Union’s offerings: banking/ATMs, post office, casual food court, shopping, hair salons, travel agency, meeting rooms, Campus Life offices and the Student Services Center. Tradition rich, the Oklahoma State University athletics program is known as being tradition rich and as a winner in men’s and women’s sports across the board. Schedules and ticket information are available on this link. Organized in 1897, the OSU Alumni Association creates and maintains connections for life between Oklahoma State University and its alumni. The OSU Physical Plant is a major contributor and team partner of the Ranchers Club and Atherton Hotel. In addition to the Price Family Garden, which is the beautiful setting for our main entrance, Physical Plant projects can be seen throughout the hotel and restaurant. Please follow the link to learn more about the Price Family Garden and the various other projects the Physical Plant team is currently working on.